We are pleased to announce that we have the following volunteer trips out to Flat Holm Island scheduled for September. All trips involve staying on the island overnight in dormitory style accommodation. If you, would like to come along on any of the trips (or know of anyone who would) please contact Jo Morgan (flatholm.society@gmail.com). The trips provide you with an excellent opportunity to get involved with the on-going ringing and monitoring of species of the Birds on Flat Holm and to put your DIY, Maintenance and Gardening skills to good use. 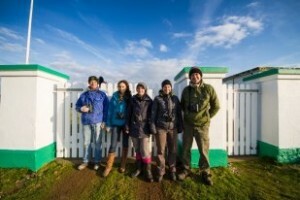 The trips are a fun way to see Flat Holm Island, meet the team and spend some time taking part in the various volunteer tasks. 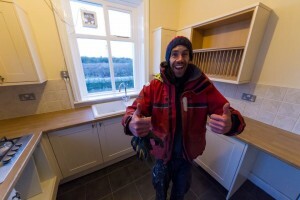 You will also have plenty of opportunities to explore Flat Holm Island and even sample the delights of the island’s very own pub, The Gull and Leek. As the trips are fully funded all you will need to bring along is yourself, a change of clothes and a sleeping bag and possibly a donation towards the food provision for the weekend. Spaces will be allocated on a first come first served basis so please book with Jo ASAP to secure yours. If you would like to come along don’t forget to email Jo Morgan (flatholm.society@gmail.com ) for a membership and a booking form. Our “Voices for a Small Island” poetry and story telling evening aboard the light ship in Cardiff Bay was a huge success. The sell-out event kicked off with a selection of island inspired poems read by our very own Bridget Box. Elinor Knapp followed with her atmospheric tales and poems set to sounds from the ocean. Phillip Gross, double TS Elliot prize winner, read a collection of his poems taken from his book ” The Water Table”, his poems evoked memories of Flat Holm and reflected upon the changing, yet reassuring waters, of the Bristol Channel. Richard Berry provided us with some very humorous and interactive stories and our very own, Andrea Griffiths, read a beautiful poem that she found when researching island poems. As the evening drew to a close the audience were treated to excerpts from the stage show Titanic. The readings and music from the show were incredibly moving, all of this set in the wonderful setting of the Light Ship made it a very evocative and emotional performance. Bridget brought the evening’s performances to a close with a final poem that explored how sleeping on an island can change a person for life, something that many of our members were able to relate to. Peter Sampson was a very entertaining Master of Ceremonies for the evening and much thanks goes to him and Linda Burnell, who provided the inspiration for the evening and brought it to a reality. Many thanks are also given to all the performers who gave their time and made the evening very special. Finally we would like to extend a massive thank you to Helen Crane and Chris Debono from the Cardiff Light Ship, who were able to provide the fantastic setting for us and plenty of delicious cakes, tea and coffee. The Flat Holm society has been working hard behind the scenes talking to the council and other organisations about the future of Flat Holm Island. We have submitted a proposal to the Council indicating that we want to start the process of forming a trust to run the Flat Holm. We are also in discussions with a number of organisations who have expressed an interest in getting involved. The proposal was able to highlight that there is strong opposition to closing the island outright with the 3,500 plus signatures we have received on the online petition. We need the Council to agree to continue funding the island for a number of months to enable us to put plans in place that would enable the island to stay open to members of the public, with the Flat Holm Trust taking on the day to day operations. Cardiff Councillors are formally voting, about the future of Flat Holm, on the 28th February 2013. We hope they accept our proposal and grant us the transition time to start the process. We hope that the Island will be fully funded during that time, which we expect will be between now and September. That being the case, the Island will be able to gain some income from visitors over the summer and can be fully managed by the present staff. There will be information about the current situation, post 28th Feb, at our AGM on 7th March at the Norwegian Church. We hope to see many of you there. While we await the outcome of this please do continue to show your support for our campaign. If you live within the Cardiff areas please write to your local Councillors and AMs encouraging them to support our proposal that was submitted to Cllr Huw Thomas. If you have not already done so please sign our online petition and if you would like to hear the latest news about our campaign please follow us on our Save Flat Holm island Facebook and Twitter feeds. The Society has been delighted and very moved by the amount of support that has been received over the last few days since Cardiff Council’s proposed budget cuts came to light. With over 350 likes on our “Save Flat Holm Island” Facebook page and a staggering 1,635 signatures on our online petition the response from the public has been overwhelming. 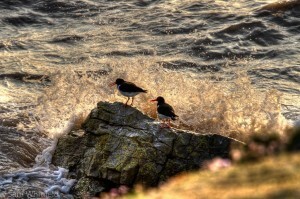 Amongst other cuts the council is proposing to “Cease Operation of Flatholm Island and Consider Options for Disposal”. In the interest of openness and transparency, public are being invited to have their say on Cardiff Council’s budget proposals via an online survey. 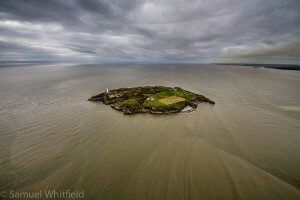 The next step of our campaign to Save Flat Holm Island is for as many of our supporters as possible to complete this survey and let your thoughts about Flat Holm Island’s future be heard. If the council does choose to dispose of the island it is very important that it falls into the hands of suitable custodians to protect and preserve it for future generations. 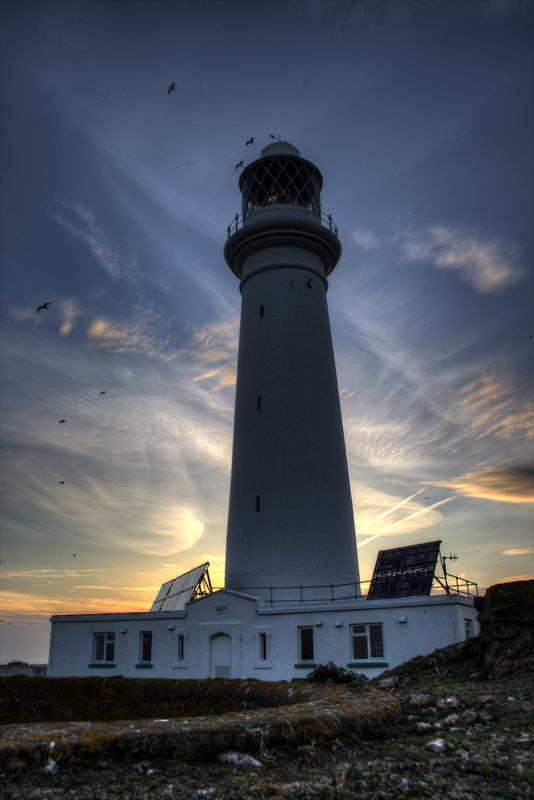 Flat Holm Island is a Site of Special Scientific Interest, a Local Nature Reserve and a Special Protection Area, due to the maritime grassland and rare plants such as Rock Sea-Lavender, Wild Leek and Wild Peony. 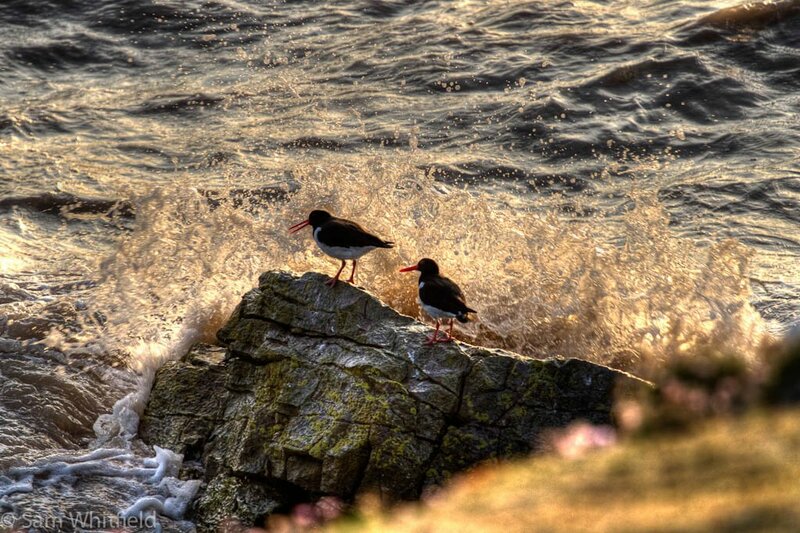 During spring and summer the island is also home to a significant breeding colony of Lesser Black-backed Gulls. 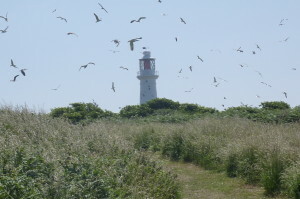 Flat Holm is also home to slow worms, thought to be endemic to the island, common lizards and Peregrine Falcons. Historical features on the island include the remains of a cholera hospital and Victorian and WWII gun batteries. If the island were to fall into the wrong hands we would lose not only a very important conservation area but a valuable environmental learning resource for young people and community groups in Cardiff and the surrounding areas. The effect a couple of nights on the Island has on children, for example, is amazing! The Island team really get the kids exploring the natural environment, they also focus on getting the children to think about their energy and water usage which, of course, an Island is ideal for. We are quite sure that Cardiff is the only City in the UK with an Island resource like this on its doorstep and it would be a terrible shame if it were lost completely. If you can offer us practical hands on support with our campaign please contact us. You can also keep track of the latest campaign news on the “Save Flat Holm Island” Facebook page and also via our normal Flat Holm Website and Flat Holm Society Facebook pages. We have received some very worrying news that has come out of yesterday’s Cardiff Council committee meeting. One of the proposals in the Council’s proposed budget savings is to “Cease Operation of Flatholm Island and Consider Options for Disposal”. There will be a Council meeting on Thur 28th Feb to decide the future of Flat Holm Island. There will be a proposal put forward to find an alternative method of operation, other than through the Council, to run the Island. A decision will be taken, to take effect from 31st March 2013. David Westerland, who is covering Natalie Taylor’s maternity leave, will be speaking at the FHS AGM on 7th March and will be able to inform members of the outcome of the meeting. If there is any more information about this proposal, we will let you know. Enjoy a quiet break away… in a fog horn cottage? It’s been a long journey, but we are finally seeing the finishing touches on one of Flat Holm’s most treasured buildings, the Fog Horn Cottage. Originally opened in 1906, the Cottage has been in a state of decay for almost 30 years. 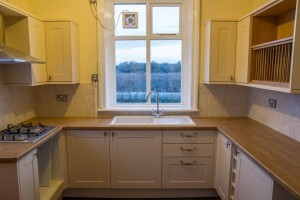 The renovation of the cottage has been taking place in dribs and drabs for the past decade, and over the last two years a concerted effort has been made to completely restore this unique building. The Flat Holm society has fully supported the restoration by various donations of funds and through practical hands on work by society members on many working days and weekends. A very special thanks to all the island volunteers, members of the Flat Holm Society, Bob and Lee and not to forget all of the island wardens, especially Matt, for his determination! It looks amazing, and it will be a cosy home for anyone wanting a weekend away or a holiday with a difference! Everyone who has been involved in the restoration project should be very proud of this significant achievement. More information about the cottage will be available soon, however, in the meantime anyone interested in finding out more about how to hire the cottage for a weekend break or holiday should contact the Flat Holm Project Office.